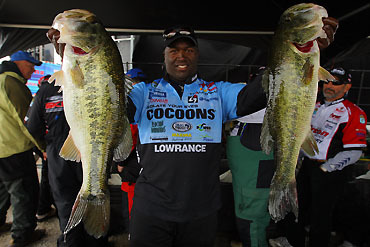 Ish Monroe will have a stretch this spring when he fishes a tournament a week for 7 straight weeks. Ish Monroe has a simple philosophy about making money that's pretty much universally accepted: He figures that the harder he works, the more moola he stands to pocket. He also has a theory about his own fishing that might be a bit unconventional: Minimal practice time for an event often leads to a better finish. He'll put both of those concepts to the test this year as the most active tour pro in the country. 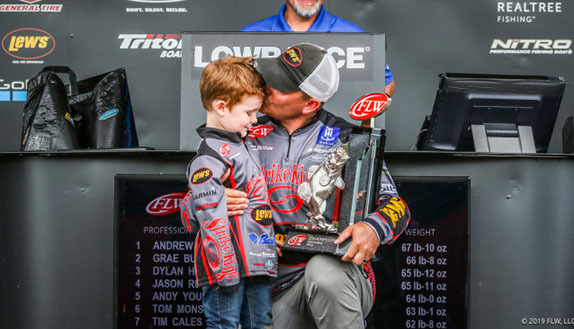 In addition to the eight Bassmaster Elite Series tournaments, he plans to fish seven FLW Tour events (three of the six Majors and all four Opens), along with the four PAA Tournament Series derbies. The 36-year-old bachelor will leave his California home in a couple of weeks for the FLW Tour opener at Florida's Lake Okeechobee and doesn't expect to see the West Coast again until June. He'll fish a tournament every week from early March through mid-April � seven in a row. "The biggest challenge will be keeping my mental focus � getting on that wave and riding it," he said. "If burnout's going to happen, it's going to come during that 7-week stretch. "It seems like the tournaments I'll get to fish (during that period) � with the exception of Beaver � will all have fish on the banks. There'll be some sight-fishing and some spawn/post-spawn stuff, and that's the way I like to fish." Monroe was one of four anglers who competed on both tours in 2010 � the others were Edwin Evers, Steve Kennedy and Dave Smith. He's the only Elite Series pro who'll fish any of the FLW Tour Majors this year as there are three events that conflict with Elite tournaments, and participation in the Majors required an upfront deposit of $6,000 ($1,000 per event). 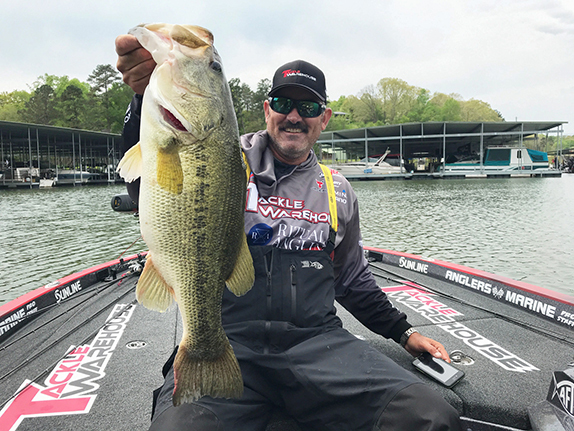 He'll miss the Chickamauga, Table Rock and Kentucky Lake Majors while fishing Elite tournaments at Toledo Bend, West Point and Wheeler, respectively. He'll have to forfeit his deposits for the three FLW events, but that doesn't faze him. "If I can cash checks in those other three tournaments (by finishing among the Top 50), then the whole thing will pay for itself and I could end up making a little bit of money," he said. "And what happens if I go out and crack a Top 10, or maybe even win one? That's more opportunity for my sponsors to get love on TV. "The bottom line is I want to take advantage of every situation I can to fish for $100,000." He estimates his total outlay for the 15 tour events to be about the same as the top prize for a single victory (roughly $75,000 for entry fees and another $25,000 in travel expenses). Two good friends � Rick Sweadner in Maryland (who'll fish the FLW Tour as a co-angler) and Tommy Jacques in Alabama, will assist him with the logistics, which will include storing and transporting the two boats he'll employ and giving him a place to stay on occasion. Monroe likes this year's combined schedule because it's tightly compacted throughout the first half of the year, with the majority of it centered around the spawn. He doesn't like a lot of time between events nor a lot of practice for each individual event because he thinks that's counterproductive for him. He finished tied for 6th in the FLW Tour points in 2010, but 60th on the Elite side. He said a big reason for that was his shorter practice periods for FLW tournaments that were on the heels of Elite Series events. Monroe will need two boats and the help of a couple of friends to pull off his two-tour odyssey this year. An example was the Norman FLW Tour, at which he finished 7th despite all of 2 hours of practice after driving coast-to-coast from the Clear Lake Elite Series. 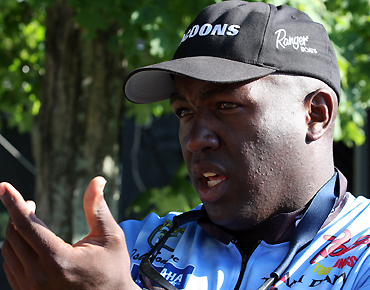 "When I'd miss practice days on the FLW side, I'd fish more on natural ability," he said. 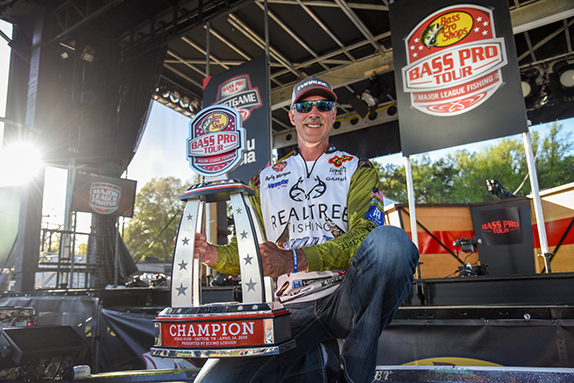 "When I had a longer practice, like at Guntersville, I had my worst finish (72nd). "I definitely think I over-thought it at Guntersville. If I wouldn't have gotten some good bites fishing ledges in practice, I would've fished a frog and punched grass and probably (would've done) fairly well. I know several guys did that." He said he enjoys both circuits equally and thinks each will be even better this year under new leadership. "I'm excited about Jerry McKinnis coming in (as one of the new owners of B.A.S.S.) because he has such a passion for the sport. And I'm excited about (new Operations Division president) Kathy Fennel taking over at FLW because she has so much compassion for the anglers. "Those two people will be instrumental in the sport thriving � one of the reasons I fished both tours last year was because at one point I was a little bit scared about what might happen. But this year is different and I want to show support to them just like they've shown support to me." > Monroe said he'd be fishing this schedule even if he'd qualified for this year's Bassmaster Classic, which falls between the first and second FLW Tour events. 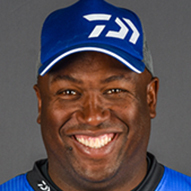 > Kennedy, one of the three other two-tour pros in 2010, said he was unwilling to forfeit deposits for the three Majors that fell on top of Elite events, and thus will fish only the Opens on the FLW side this year. "I couldn't justify just donating those, so I decided to tone it back just a hair," he said.